Bruce Robert Coffin is the bestselling author of the Detective Byron mystery series, and former detective sergeant with more than twenty-seven years in law enforcement. The first three novels in the Detective John Byron mystery seires, Among the Shadows, Beneath the Depths, and Beyond the Truth, have been well-received by fans and critics alike. His short fiction appears in several anthologies, including The Best American Mystery Stories 2016. Bruce Coffin lives and writes in Maine. At the time of his retirement, from the Portland, Maine police department, he supervised all homicide and violent crime investigations for Maine's largest city. Following the terror attacks of September 11th, Bruce spent four years working counter-terrorism with the FBI, earning the Director's Award, the highest honor a non-agent can receive. Bruce is a member of International Thriller Writers, Mystery Writers of America, Sisters in Crime, and the Maine Writers and Publishers Alliance. 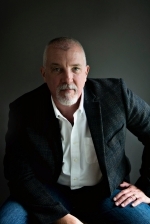 He is a regular blog contributor to the Maine Crime Writers and Murder Books blogs. Capacity: 66 of 100 spaces available.